The feature serves two purposes. Firstly it helps to focus attention on the person that is speaking, but secondly -- and perhaps more importantly -- it hides any untidiness (or secrets) that may be going on behind the speaker. It's another push from Microsoft to move people away from Skype Classic to Skype 8. Background blurring makes use of artificial intelligence to pick out the subject of a video, having been trained to detect hair, hands and arms. Of course, the technology is not 100 percent accurate, and Microsoft warns that "we do our best to make sure that your background is always blurred, but we cannot guarantee that your background will always be blurred". Background blur in Skype is similar to background blur in Microsoft Teams. It takes the stress out of turning on your video and puts the focus where it belongs -- on you! 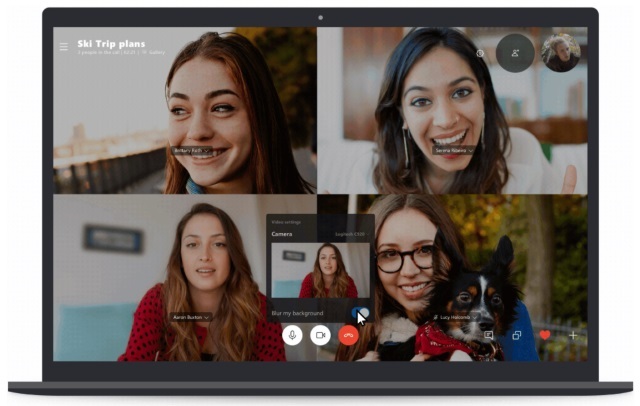 With a simple toggle, right-click, or even through your Skype settings, your background will be instantly and subtly blurred, leaving just you as the only focal point.